What Do You After You Buy A Car? Head to Asbury Park! No matter which Lester Glenn location you visit, you’re guaranteed to be only minutes away from a good time…and that includes our Ford location in Ocean Township! Asbury Park, known for its beaches and historic boardwalk, is only a 9 minute drive from us, making it the perfect post car-buying destination! Take your new ride for a spin down to Asbury for some delicious food, ocean air, and a perfect day with your family. If you’re not sure where to head first, take a look at our list of the 10 Best Things to do in Asbury Park! 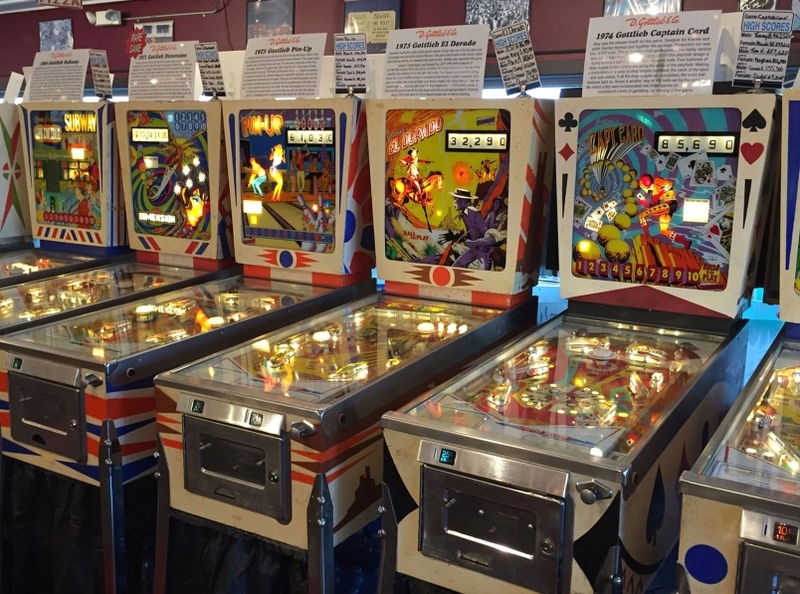 Dabble in your nostalgic side at the Silverball Museum Arcade. Complete with retro pinball machines of all shapes and sizes, you’re guaranteed to kill at least a few hours here. If pinball isn’t your thing, there’s ski ball and a few air hockey tables to keep you busy. The arcade also has a cafe right in the center – filled with all kinds of delicious food – so you’re sure to stay fueled for the rest of the day. If you’ve heard of or read the novel “The Red Badge of Courage”, then you’re certainly familiar with its author Stephen Crane. He was born in Newark and his family moved him around a bit until they finally settled at 508 Fourth Avenue in Asbury Park. Here, he attended school and wrote is first novel until he eventually passed away from tuberculosis at age 28. The Stephen Crane House is an awesome piece of history that is sure to impress. This historic concert venue opened its doors in February 1974 and has since become a legend. It’s housed a huge variety of artists – from Bruce Springsteen to local, underground bands – and every performance feels as if they’re putting on a personal show. Make sure to check out their Summer Stage lineup for an amazing outdoor concert. 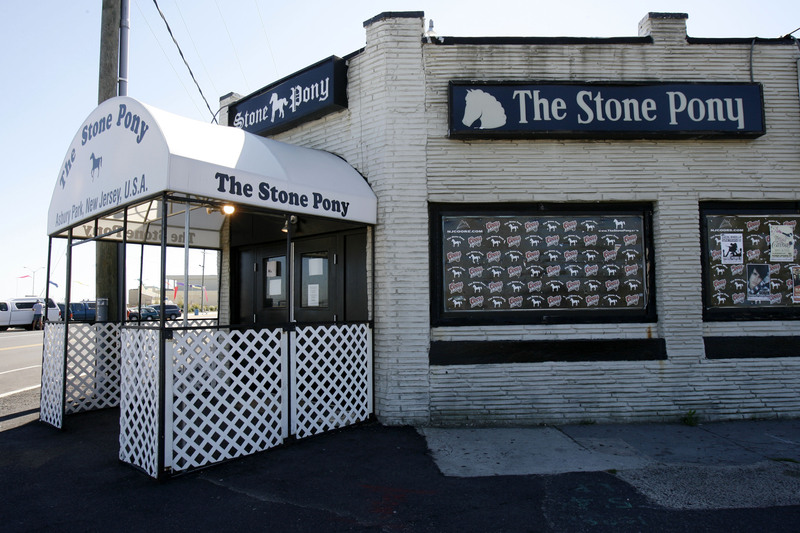 It’s always a good day for a Stone Pony show! You can’t visit Asbury Park without at least one walk on the beach. Make sure to take a stroll up and down the boardwalk for some ice cream and salty sea air. There’s truly no better combination! Make it a day and plant yourself on the sand until the sun goes down. Whether you’re looking for an eclectic night out or something more relaxed with an ocean view, Asbury Park has a wonderful variety of bars and clubs that are perfect for any summer outing. 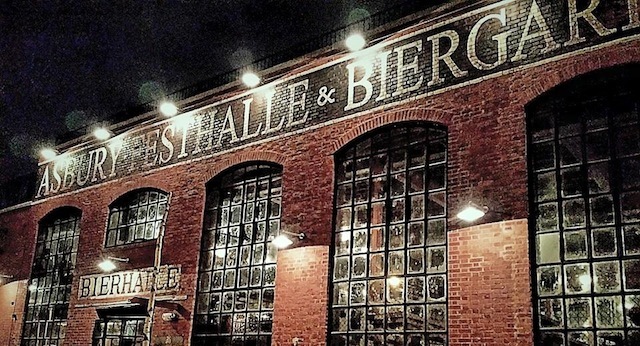 Head to the Asbury Festhalle and Biergarten for classic German cuisine and an awesome view of the lake or make a stop at Johnny Mac’s House of Spirits for free pizza and a whole lot of Asbury Park memorabilia. Most of the hotspots are within walking distance so if you’re looking to explore multiple locations, just take a stroll! Asbury Park is full of all kinds of history – and that includes activity of the paranormal nature. Book a guided lantern tour throughout the downtown district and you’ll be able to visit the scene of a historic violent crime and learn the truth about some of New Jersey’s most infamous ghosts. The tour typically lasts for 90 minutes and is suitable for all ages. Book your tour today! A unique way to explore Asbury Park is by renting a boat and taking a ride around the lake. The rental place is open both during the week and on the weekends and the rates are for half hour rides. If you lose track of time or if you’re just having too much fun, you can always add on more time to your ride. Catch the sunset after a delicious dinner or start your day with some fresh air. You can’t go wrong with this one! Whatever type of cuisine you’re in the mood for, Asbury Park has something for everyone. From fresh sushi to classic Italian fare to some of the finest seafood in the area, we promise you won’t be disappointed with anything you choose. There’s a nice variety of more casual, relaxed restaurants for when you’re just looking for a burger and a cold drink. To piggy back off our dining section, the Asbury Park Restaurant Tour is an awesome way to spend a beautiful day sampling some of the town’s finest food. This is an annual event and usually takes place in the beginning of May so make sure to stay on top of the schedule! If you haven’t yet heard of this unique event, now is the time to look into it. Every October, hundreds of people dress up in their finest zombie garb and invade the streets of Asbury Park for the record-setting Zombie parade. Get in touch with your spooky side and don your scariest zombie get up for this one. Not interested in parading? We urge you to sit on the sidelines just to soak in the view. There will be no shortage of photo opportunities on this day!